The submission period has ended. Thanks to all who applied! You’ll be hearing from us soon. 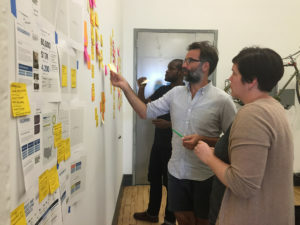 This fall, you can join the Public Policy Lab in transforming public services through our Public Design Fellowship program. We will offer one or more fellowships in the areas of design research and communications/UX design. Check out the full fellowship description and submit your information by 10 a.m. on August 9th.